Here at NEBOSH, we use several different types of exams, as well as work-based assignments, as part of our qualification assessments. In this article I aim to give you some guidance for tackling written, short-answer exams. Getting to grips with exams is just as much about mind-set as about the topics you’re being tested on. One good thing about the Will Smith film “After Earth” was the pep talk about the difference between danger and fear. To summarise, danger is real but fear is the story you tell yourself that can paralyse you from taking action or push you into the wrong course of action. So try to focus on the real challenges of an exam, rather than the fear of getting it wrong. Exam success is not random. There will inevitably be people that pass, and people that don’t (for all sorts of reasons). If you are well prepared, understand the topic and have practiced answering exam questions you are much more likely to succeed. Let’s get a few myths out the way to start with. NEBOSH is not trying to catch you out – our examiners are actively looking to award marks. 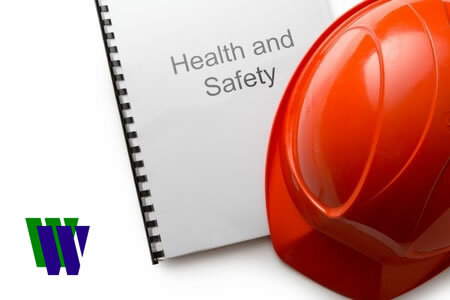 Use ‘NEBOSH speak’ – instead we use health and safety language and language commonly used in nearly all exams, to help make the questions as clear as we can. Have a quota system – instead we take the view that if you reach the pass standard, then you pass, that’s it. Mark by just looking for key words. Expect you to purely rely on memory – most things people do rely on remembering things to some extent, and that’s a good thing, but ours are not memory tests. Use humans – well, qualified health and safety people – to create exam questions and mark your answers against a marking scheme. Look for understanding and application of concepts and not key words, when marking. This can be expressed in a variety of different, equivalent ways. If your answer amounts to the same point on the marking scheme (though it may not use those exact words), you’ll get the mark – no quibbling. Use flexible and realistic marking schemes – the marking scheme is a guide to the range of reasonable points that could answer the question. It has many more points on it than the maximum marks available. For example, an 8 mark question might have 12 or more points on the marking scheme. That’s to take account of the different ways you can arrive at the same answers and get the full 8 marks. Can use common abbreviations in your answers – like HSWA, HSE, RIDDOR, ILO – our markers will know what you’re talking about. Can answer questions in any order. Answering questions in order seems the right thing to do, but start with the one you feel most confident to answer, rather than getting stuck on a question. This’ll give you a sense of confidence. As long as you label your answers with the relevant question number, that’ll do. As far as we’re concerned – the question number order doesn’t mean anything. Can use bullet points – these are just formatting (like we’ve used in this guide). So long as your answer is sufficiently detailed on each bullet point and relevant to the question, you’ll be fine. Shouldn’t get too worried about command words – they are every day, normal words. Like many words, their exact meaning depends on the context – what is being asked, how many marks available etc. Yes, they have definitions – but you can easily tie yourself up in knots thinking about it. So, it’s better to practice questions that use these words – you’ll get a natural feel for what is required and then you can forget about it and answer the question. Shouldn’t get too fixated on any one question – it’s your performance over the whole exam that matters. In answering a question, most people find that they can come up with quite a few points quite quickly and then struggle to come up with a few more. If it’s starting to take too much time/effort then it’s better to move on to the next question. Don’t generally need to learn regulation numbers – let’s face it, people aren’t going to rely on you for detailed legal advice. It’s the meaning and interpretation of the law in practice that is more important. With very few exceptions (such as HSWA for UK national candidates) we therefore don’t expect you to learn them either. What we do expect is that you know what it contains and means. With preparation and practice, our exams are a way for you to demonstrate that knowledge and practical understanding you have of the syllabus and join the hundreds of thousands of people that hold a NEBOSH qualification.